2017 has been a year of major positive developments. We look forward to 2018 as it will be the year of reaping the benefits from acute decisions made in 2017. Elevated by the acquisition of the already successful Jurassic World exhibition and bolstered by a lucrative advertising deal, the company is on a much firmer footing. Management’s ability to execute in this competitive landscape gives shareholders confidence going into 2018. Maintain BUY with a higher target price of S$1.55. • Cityneon has signed a term sheet with Fabulous Inc (Fabulous) to set up a digital media signage board at the Marvel exhibit in Las Vegas. The project is for five years plus an option to renew the term for another five years in a contract worth a guaranteed minimum of US$15m. • Purchases property at 25 Tai Seng Avenue. Cityneon acquired Scorpio East Properties Pte Ltd (Scorpio), which owns a leasehold property at 25 Tai Seng Avenue, KOP Building. The property has a remaining lease of 20 years with a possibility of an extension of another 29 years. • Attractive deal with Fabulous. Fabulous is a Seoul-based company that produces premium film content for performing arts such as musicals, concerts, ballets and operas. 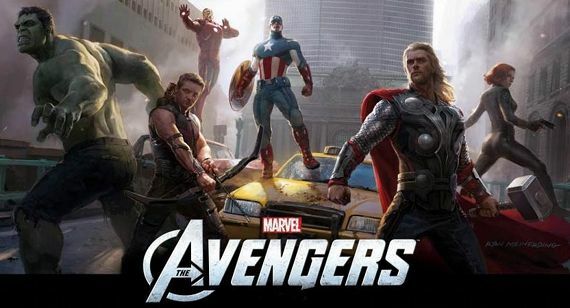 The digital media signage board will be set up at Treasure Island, Las Vegas’s Marvel Avengers S.T.A.T.I.O.N. exhibition, at one of the busiest junctions along the Las Vegas strip. We expect the digital signage board to be possibly used mainly for advertising Korean-related products such as electronics and cosmetics. This is a major development for Cityneon as we had previously highlighted the securing of naming rights as a potential catalyst for the stock. The deal is highly lucrative for the company as it should net a minimum of US$15m over a five-year period. When compared with the Las Vegas Convention and Visitors Authority’s payment of US$4m p.a. for 20 years for the naming rights to Las Vegas Ballpark, we believe the agreement with Fabulous spells good business for Cityneon and should provide a stream of income over the next five years. • New building at Tai Seng to be possibly Cityneon’s creative hub. Cityneon will pay S$27.2m for the building, comprising cash and receivables consideration of S$3.2m, while inherit an existing loan of S$24m secured by a mortgage on the property in favour of Hong Leong Finance. The property has an aggregate lot area of 2,571sqm and an independent valuation of S$29m. We do not expect any net cash flow impact apart from the upfront cash consideration as the majority of the property will be rented out. As creativity is the lifeblood of the business, we like that management is considering using a portion of the building to expand its creative capabilities through the development of a creative design suite which will help both the traditional and IP businesses in developing new content and also hopefully attract new and experienced creative personnel to take the company to the next level. • Current price levels very attractive. Since Victory Hill Exhibition’s injection into Cityneon back in 2015, the company has undergone a massive transformation in both business profile and earnings. Over a 2.5-year period, the company has acquired a third intellectual property (IP) in the form of Jurassic World, secured naming rights with an established Korean media company, and brought the Avengers and Transformers exhibits to four different continents resulting in phenomenal earnings growth. We are confident of the company’s fortunes going into 2018 as management has proven its ability to execute in this business. At current price levels, investors would be buying into Cityneon at a 7.7% premium to what major shareholder Lucrum 1 came in at (S$0.90). • US tax cuts could benefit Cityneon. With the US Congress giving the final approval for tax reforms that include a cut in corporate tax rate from 35% to 21%, Cityneon could see potential benefits from the lower tax for the operations in the US which include the Avengers S.T.A.T.I.O.N. in Las Vegas and Jurassic World exhibition. We expect Cityneon to derive 15-20% of sales from the US in 2018. • We raise our 2018-19 net profit estimates by 3.3 and 2.5% respectively as we account for the advertising deal with Fabulous. As the recognition of revenue from the advertising deal could turn out to be lumpy in nature, we have elected to take a conservative approach and raise our revenue forecast by only S$1m per year for 2018- 19. • Maintain BUY with a higher target price of S$1.56 (previously S$1.50), pegged to peers’ average of 15.4x FY18F PE. At current levels, the stock is trading at a bargain 9.8x 2018F PE. • Additional IP rights. If Cityneon is able to secure additional IP rights for other franchises such as Star Wars, we see further upside to our valuation.